MOSCOW, November 30. /TASS/. The analysis of Russian space launches’ statistics shows that their incident rate corresponds to world figures, Russia’s State Space Corporation Roscosmos said in its annual report posted on its website on Friday. "The analysis of statistical data shows that the integrated index - the share of launchers’ failure out of the overall number of launches (on an accrual basis) measures 5.29% for Russia and, therefore, generally complies with the world level (EU countries - 3.1%, China - 4.25% and the United States - 5.56%)," the document says. 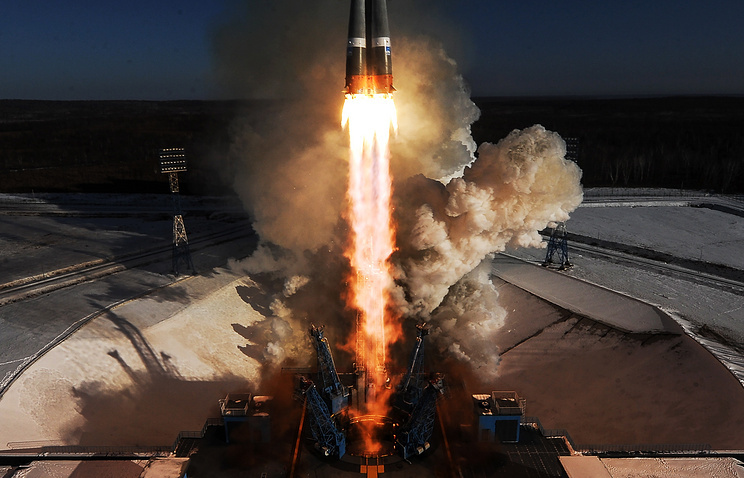 The report notes that the Russian space agency failed to avoid incidents while implementing the launch plan in 2017, despite measures taken to meet the requirements of quality and reliability. On November 28, 2017, an emergency situation occurred at the Vostochny spaceport during the launch of a Soyuz-2.1b carrier rocket with a Fregat booster, which failed to deliver the Meteor-M No. 2.1 satellite and the hosted payload into orbit. Roscosmos notes that even with account taken of this incident, the incident rate for Russian launchers has been decreasing in the past three years. "Thus, this rate measured 8.1% in 2014 (three incidents compared to the overall number of 37 launches), 6.9% in 2015 (two incidents out of 29 launches), 5.3% in 2016 (one incident out of 19 launches) and 4.8% in 2017," the report said.